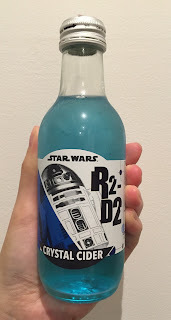 My husband got some interesting sodas from his former coworkers, and there're 2 bottles of Star Wars cider. 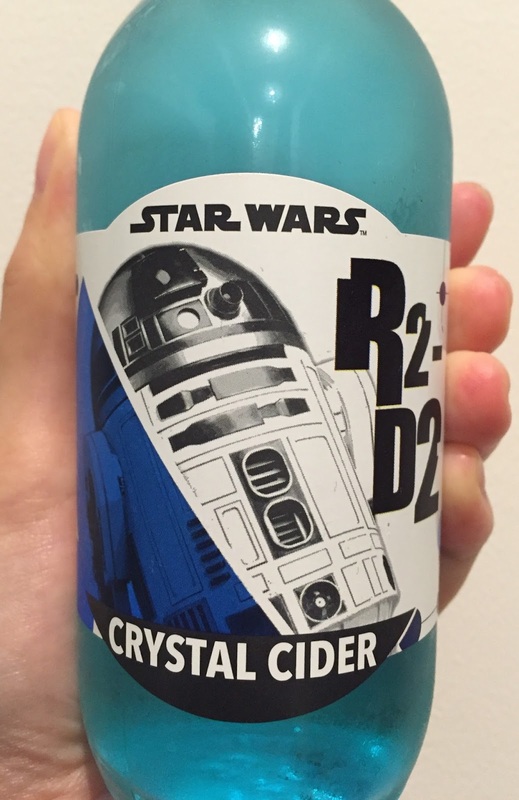 They're Crystal Cider R2-D2 and Citrus Cider C-3PO and R2-D2. I've never heard the name of the distribution company called "Nisshoku" in Osaka. 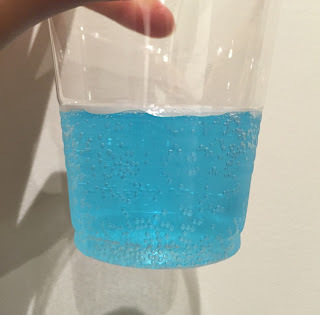 The soda was light blue and it's sweet and had citrus scent like Ramune, citrus soda.